Judah Ari Gross is The Times of Israel's military correspondent. After apparently being barred from participating in a tournament in Saudi Arabia, the Israel Chess Federation is refusing to concede it has been checkmated in its bid to make history. The federation said Sunday night it was still holding out hope that its players would be allowed to participate in the tournament being held in Riyadh later this week, despite being denied visas thus far. “Even now, despite the fact that the world tournament in Riyadh begins on Tuesday, we hope and believe that FIDE (the World Chess Federation)… and the Saudis will reach an agreement regarding the participation of the Israeli chess players,” Israel Chess Federation spokesperson Lior Aizenberg said in a message. “The Israel Chess Federation has invested great resources in the past month in order to tell the world media of our ambition that politics shouldn’t be part of the sport,” he said. 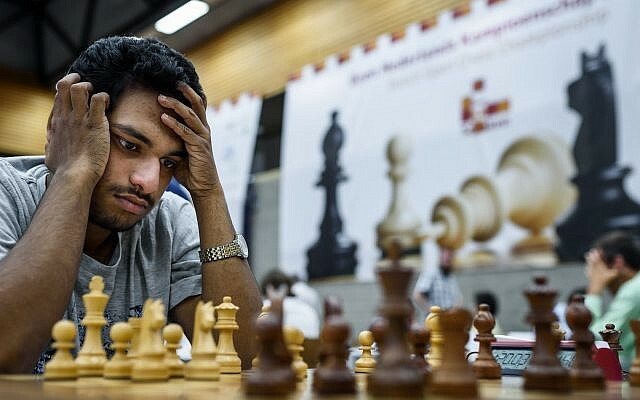 On Sunday, Moshe Shalev, the interim head of the Israel Chess Federation, told The Times of Israel that the seven players had not been granted visas, despite indications last month that they would make history by being the first representatives of the Jewish state to publicly take part in an event hosted by the kingdom, which does not officially recognize the State of Israel. 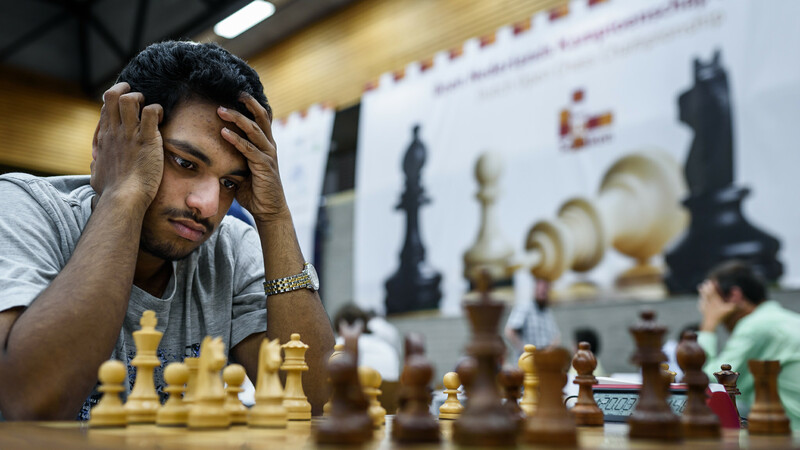 Seven Israeli players had filed requests for visas to participate in the games to be held in Riyadh on December 26-30, as part of the world rapid and blitz chess championships. But on Sunday, that international body announced that its efforts were for naught. Shalev said his group was considering taking legal action. “We are thinking about suing the World Chess Federation,” he said. The speed chess tournament includes cash prizes of up to two million dollars, so Israel’s exclusion “presents both economic and professional damage to your players,” Aizenberg said. “And besides, it is our right to be treated as equal among all nations of the world,” he added. The spokesperson railed against the world federation for failing to ensure that everyone would be allowed to take part in the competition. “It is most outrageous that FIDE allows a state to agree to host an international championship, without promising to accept all athletes, regardless of their country of origin,” Aizenberg said. Israel and Saudi Arabia have no official relations. The public presence of Israelis there would be highly unusual, and would come as officials from the Jewish state increasingly hint at covert ties with the Sunni-ruled kingdom. Israel and Saudi Arabia share a common fear of Iran’s attempts to increase its influence in the region. He added that he “expect the Saudis, aided by FIDE, to approve our requests for visas to play,” he said. Aizenberg noted the Israel Chess Federation chairman Zvika Barkai discussed the issue of the Saudi visas with FIDE President Kirsan Ilyumzhinov, who recently visited Israel. Israeli athletes often face difficulties when competing in the Middle East or against Middle Eastern countries, due to hostility towards the Jewish state. In a recent incident, an Iranian wrestler was lauded by his government after he intentionally lost an international bout at a tournament in Poland to avoid having to face an Israeli opponent. AFP and Times of Israel staff contributed to this report.